Get an accurate view of your website content using the Index Coverage report. Review your Search Analytics data going back 16 months in the Performance report. See information on links pointing to your site and within your site using the Links report. Retrieve crawling, indexing, and serving information for any URL directly from the Google index using the URL Inspection Tool. Get automatic alerts and see a listing of pages affected by Crawling, Indexing, AMP, Mobile Usability, Recipes, or Job posting issues. Reports now show the HTML code where we think a fix necessary (if applicable). Share information quickly with the relevant people in your organization to drive the fix. Notify Google when you've fixed an issue. We will review your pages, validate whether the issue is fixed, and return a detailed log of the validation findings. Submit individual URLs for indexing (see below). Add new sites to your account, invite and manage users. While the old Search Console still has some features that are not yet available in the new one, we believe that the most common use cases are supported, in an improved way, in the new Search Console. When an equivalent feature exists in both old and new Search Console, our messages will point users to the new version. We'll also add a reminder link in the old report. After a reasonable period, we will remove the old report. 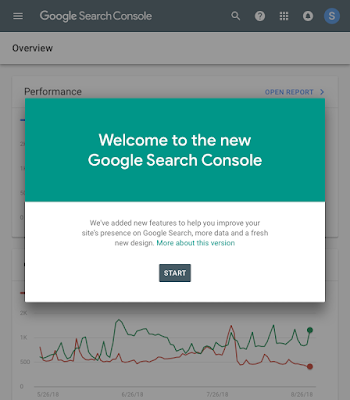 Read more about how to migrate from old to the new Search Console, including a list of improved reports and how to perform common tasks, in our help center. To ensure that you don't miss any critical alerts for your site, active manual actions and security issues will be shown directly on the Overview page in the new console. 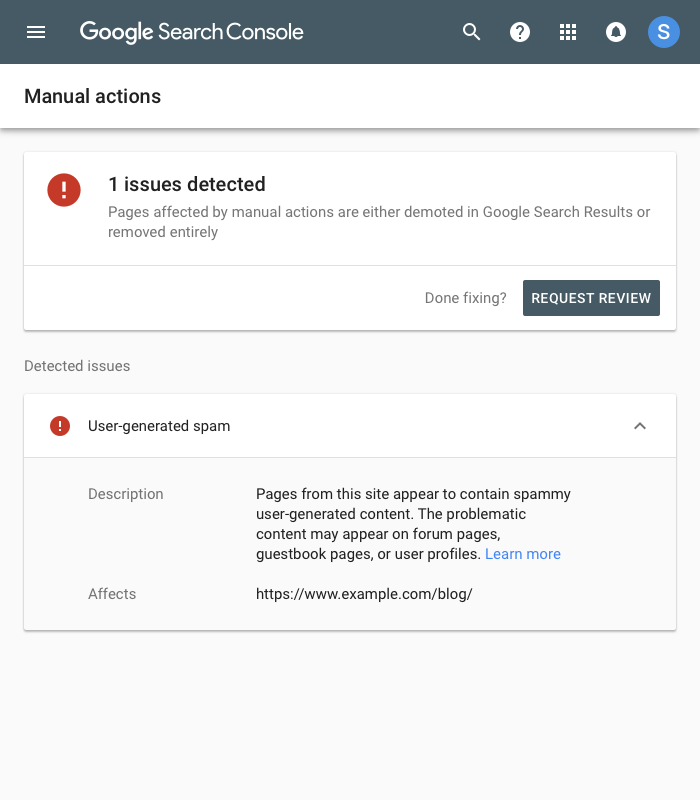 In addition, the Manual Actions report has gotten a fresher look in the new Search Console. From there, you can review the details for any pending Manual Action and, if needed, file a reconsideration request. The URL inspection tool that we launched a few months ago now enables you to run the inspection on the live version of the page. This is useful for debugging and fixing issues in a page or confirming whether a reported issue still exists in a page. 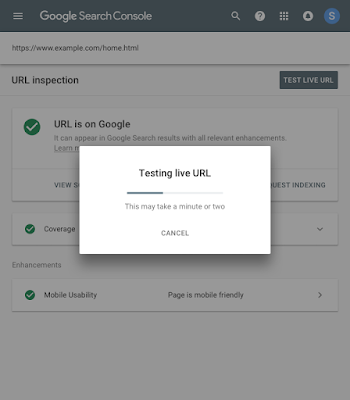 If the issue is fixed on the live version of the page, you can ask Google to recrawl and index the page. Your feedback is important to us! As we evolve Search Console, your feedback helps us to tune our efforts. You can still switch between the old and new products easily, so any missing functionality you need is just a few clicks away. We will continue working on moving more reports and tools as well as adding exciting new capabilities to the new Search Console. 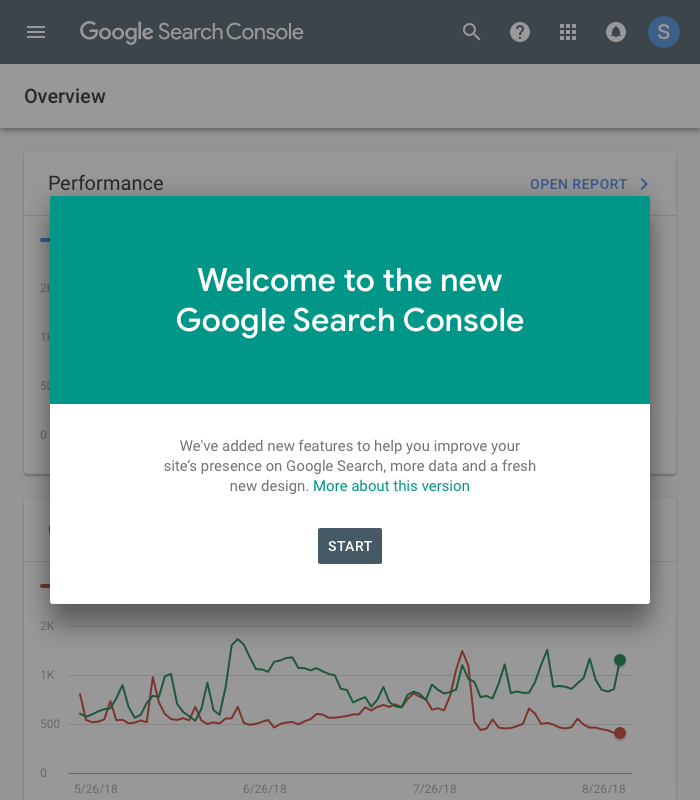 Today we mark an important milestone in Search Console’s history: we are graduating the new Search Console out of beta! 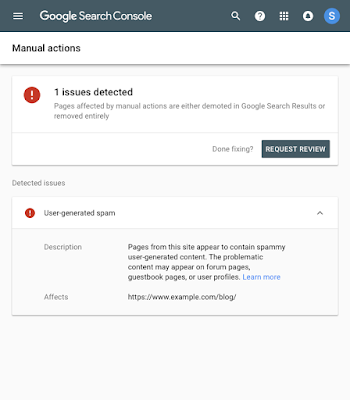 With this graduation we are also launching the Manual Actions report and a “Test Live” capability to the recently launched URL inspection tool, which are joining a stream of reports and features we launched in the new Search Console over the past few months.